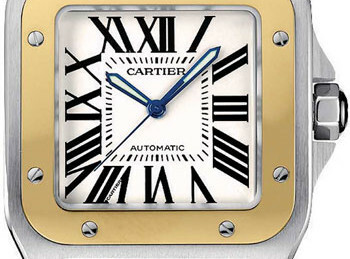 The Cartier Santos 100 W20072X7 may seem rather like an intricate block of gold and steel, however this centennial watch is much more, yet another excellent display of the fine craftsmanship of Cartier. Created to celebrate the 100th anniversary of the Santos de Cartier watch, this particular model is bold and traditional. A marvel of gold and steel, the bezel is set in 18k yellow gold with a stainless steel case designed to create a layered frame around the square face. The watch dial is of silvered opaline and coated with a scratch defense of sapphire crystal. Black Roman numerals stand at a slightly slanted angle around the rim as sword-shaped black oxidized-steel hands tick past each around the face of the watch with their consistent and soothing rhythm. The textured brown alligator skin material of the wrist band is held snugly around your arm by a secure 18k deployment clasp. With Cartier’s own Calibre 049 Swiss-automatic self-winding movement, this Cartier watch is water resistant down to 330 feet, so it can complement not only the most formal evening wear, but also the wildest outdoor adventure outfit. As this timepiece is priced at $9,000, it is no small investment and is not for the faint of wallet buyer. Weighing in at two pounds, everything about this watch, including its heaviness, testifies to its superior design and quality of material. However the weight on your wrist could be evidence that you could do without on a daily basis. A name like Cartier is priceless and quality has been infused into all aspects of this watch, but the weight and price could be cause for consideration. 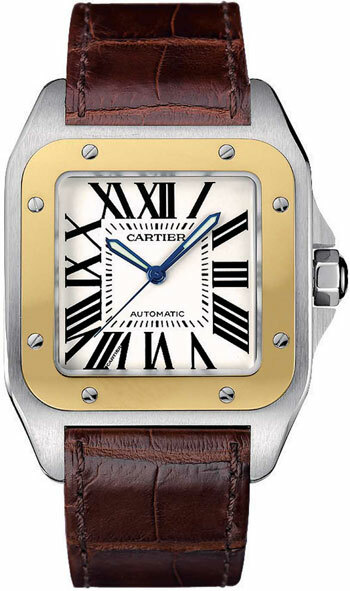 Not only is this classic example of Cartier style a fine watch in its own right, the Cartier Santos 100 W20072X7 was created as a marker in the history of Cartier’s watch making and thus it is somewhat of a collection piece as well. For lovers of fine watches and Cartier’s unparalleled taste and skill in particular, there cannot be found a better bold piece of time telling machinery that is also a historical and fashionable statement. 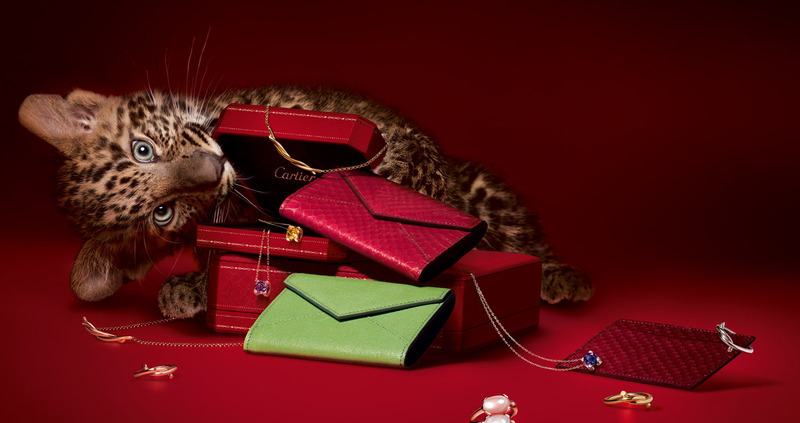 As with all of their watches, Cartier offers a way to personalize the watch for yourself or to make it a even more special gift to another, with complimentary engravings. Whether you ask for the complimentary bracelet adjustment or just receive the exclusive Cartier red box sent straight to you, you timepiece experience will be a special one.